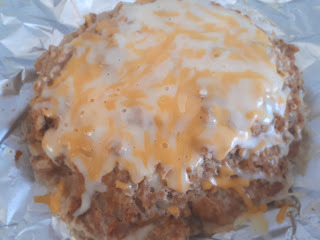 Dip the bread in the egg white mixture and cooked in a sprayed non stick pan. When brown turn over and brown the other side. 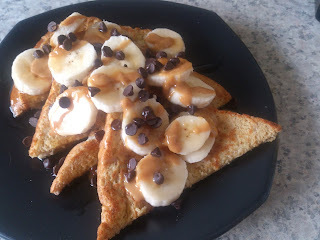 Put banana on top of the french toast, drizzle the 1/2 tbsp warmed peanut butter, sprinkle the chocolate chips on top and top with either a tbsp of sugar free syrup or 1 tsp of real maple syrup both 0pp.